Bluegrass and folk are unique artforms. I suppose they all, are. But for some reason, perhaps my demographic -- I feel a connection to these intricate, complicated, elegant, yet quite approachable music forms. The loss of Doc Watson is an immense one, and it won't be one that's possible to replace. But many of the things Doc helped to bloom and flourish in bluegrass music are well tended by the host of this past weekend's DelFest. 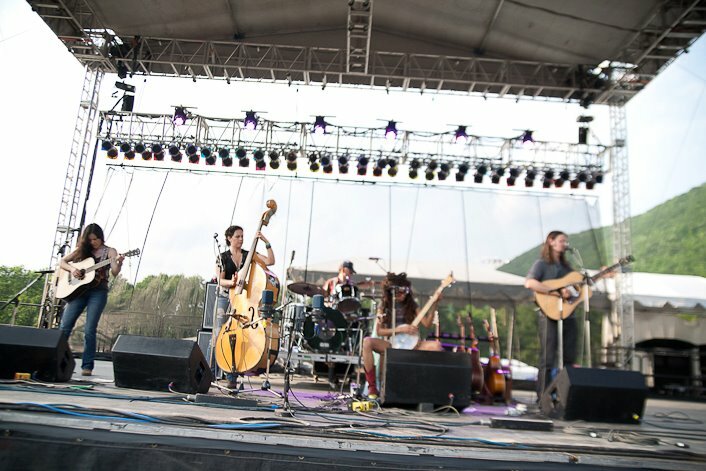 And as usual, McCoury's success was achieved through the lineup he assembled on the stages of the Allegany County Fairgrounds in Cumberland, Maryland. Blue/Newgrass stalwarts like Bela Fleck, Leftover Salmon, Railroad Earth, Yonder Mountain String Band, and Darol Anger shared their weekends with burgeoning artists including: Birds of Chicago, Madison Violet, and YouTube sensations The Sleepy Man Banjo Boys. It's hard to focus on what about this festival I liked more, the traditional artists, those more left of center, or at those atleast new-to-me. 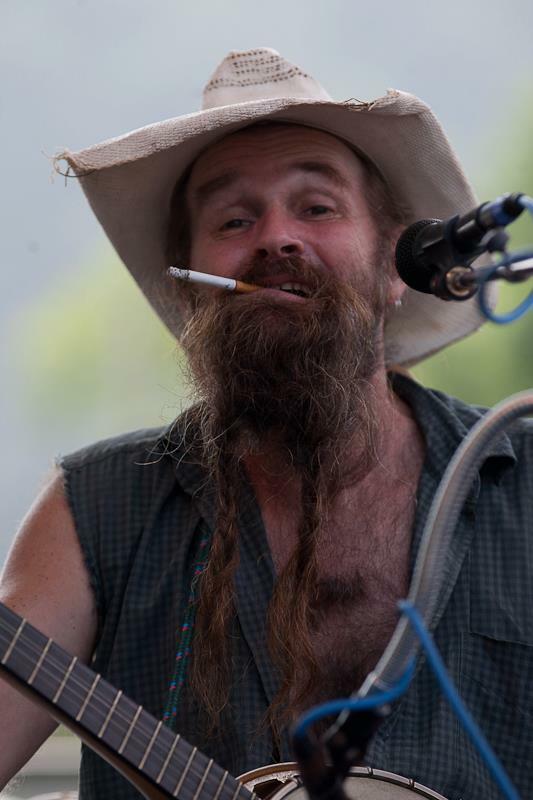 I always walk away from DelFest with one new artist that really surprised me. This year was no different. In reality there were two or three. I'll start with Luther Dickinson and The Wandering. I was intrigued from the moment I learned of this group. I'm a huge fan of The North Mississippi AllStars, The Word, The Black Crowes -- and essentially anything else Mr. Dickinson might be a creative part of. It was interesting to see him not the driving force onstage. His playing was top-notch, as always. But a great deal of credit also goes to the other musicians: Valerie June, Amy LaVere, Sharde Thomas, Shannon McNally - all hailing from parts of Mississippi and Tennessee. 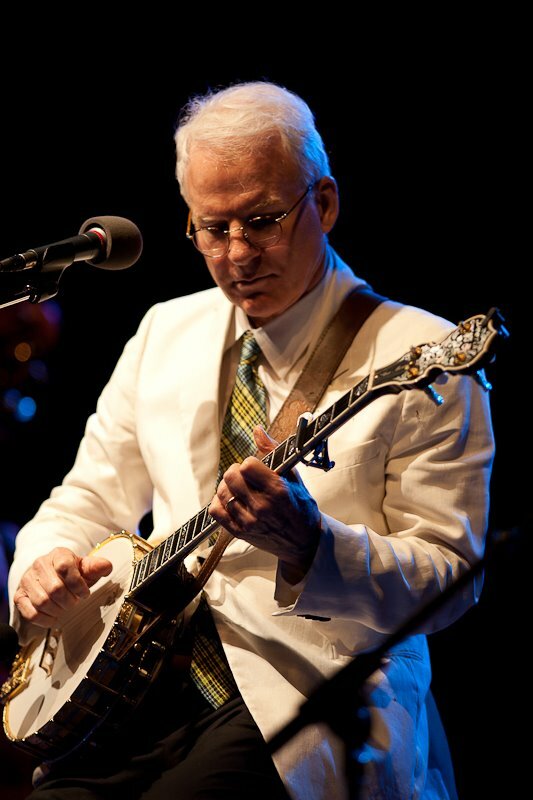 In a recent interview, Mr. Dickinson described The Wandering's sound as, "rural boogie," a blend of mountain music from the banjo-mandolin mix and African traditions via the fife,' he said. 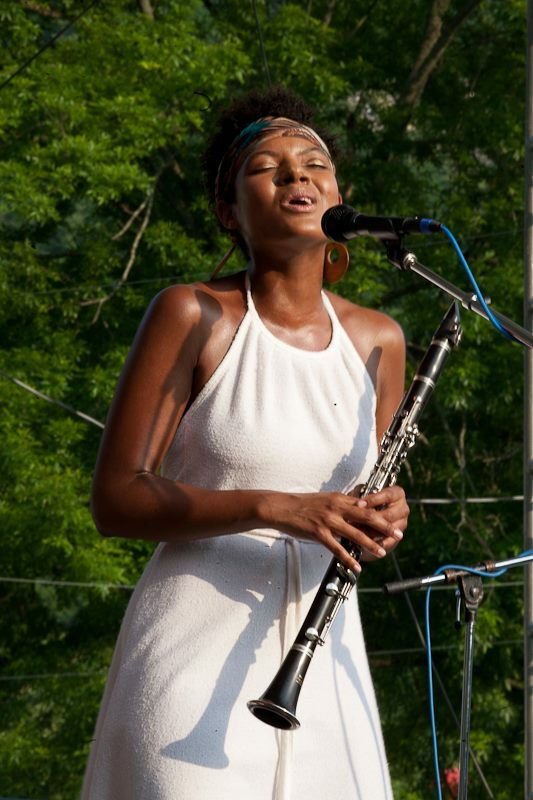 To me, it was like The Carolina Chocolate Drops on a hot afternoon with a bit of moonshine added in for good measure.. Just a little bit sweaty, but in a best way.. I can't say I was surprised by the fabulous set they presented. I've had the pleasure of hearing just how high Mr. Dickinson sets the bar for excellence many times over. However, I was surprised, outright and in the best way, by Mountain Sprout. Hailing from Arkansas, a place I lived briefly as a child, I could feel their musical, comedic, and regional authenticity from the moment I stepped up to the Potomac Stage on Sunday morning. They are indeed Ozark-Proud Hillbillies. And damn they can play. I couldn't help but note the hilarious dicotomy of stage energy on that Sunday MORNING at DelFest.. Over on the Grandstand Stage -- gospel music with the great Doyle Lawson and Quicksilver.. On the Potomac -- Mountain Sprout -- with a lead singer that looks like the southern cousin of Charles Manson, plays like nobodies' business, and tells jokes as he and other bandmembers knock back Sunday morning beers, and hand-roll their cigarettes onstage. Leave it to Del, to ensure the Yin and the Yang are always covered, at his festival. The Infamous Stringdusters, I have had the pleasure of seeing several times over. It's interesting, this group. They have all the elements.. They are 'right there...' Are we watching an ascent similar to the one that was witnessed in the jam scene with Grace Potter, in recent years? [In their case, to a more mass-appeal country audience.] I suppose the next year or so will answer that question.. I have never seen this band on an 'off' night. DelFest was no exception. My personal festival highlight was The Marcus Roberts Trio with Bela Fleck. I was surprised by the booking, but I really shouldn't have been. Can I gush a moment? It was amazing. The level of improvisation and equal musical burden across the group was world-class. I mean, consider who was on stage: led by Roberts on piano, Jason Marsalis on drums and Rodney Jordan on bass. Roberts, Fleck, Jordan, Marsalis brought the heat that afternoon, serving up stellar performances that respected the roots of jazz, and allowed that to be infused with the backgrounds of each of those master musicians. If you have this ensemble headed your way, run -- don't walk -- to get your tickets..
A close second for my festival highlight would surely be Steve Martin and The Steep Canyon Rangers. After another of DelFest's annual thunderstorms delayed musical action, I was excited to make it to the Grandstand in time to get in position to shoot [photographs] for the beginning of their set. Clad in a tailored summer white linen jacket, he was the picture of erudite-silliness, mixed with equal parts musical ability and respect for the genre. Martin is an able and gifted banjo player. He performed a claw-hammer-style instrumental that hasn't left my or my husband's ear since we heard it. But don't sell the Steep Canyon Rangers short as a mere 'backing band.' They are some serious musicans, and great singers. Their harmony was bell-toned-perfect. And who knew they could be funny? They proved able straight-men to much of Martin's on-stage schtick. It was vintage Steve Martin. And it was a really fun show. A word or two about weather and mud. It rained.. Again.. But as a veteran of all five DelFests, I am so pleased to see significant improvements in the Grandstand area to prevent mud from forming after rain. Pulverized gravel, was brought in and placed across the first 30 percent of the music meadow field. It did a great job of dealing with drainage. I saw no one standing calf-deep in mud, as I did in previous years. The drainage issue wasn't solved totally, but DelFest should be commended for the significant advances to that end. And really, given the amount of rain, I'd say the festival more than handled the issue. Mother Nature didn't surprise me. 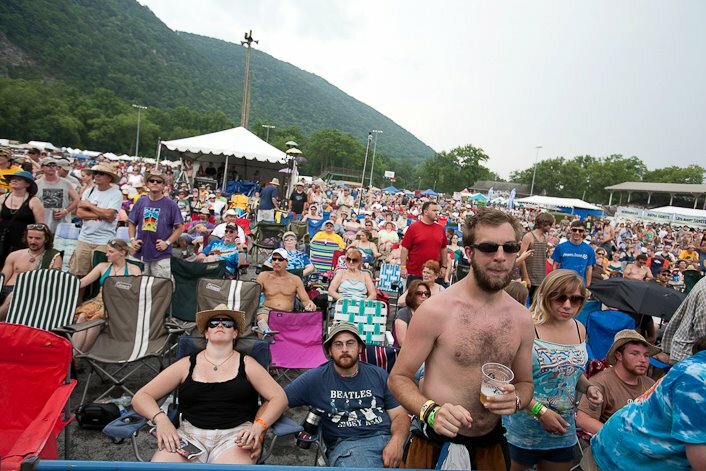 It has rained all but one year of DelFest. But she did disappoint me. I, my husband, my cameras and my recalcitrant 6 year old, spent more time riding out thunderstorms on Saturday afternoon and through most of Sunday than we'd have liked. The Preservation Hall Jazz Band's performance with The Del McCoury Band was most affected, as it was moved into the Music Hall during yet another thunderstorm. Late night performances from Leftover Salmon, Greensky Bluegrass, and The Infamous Stringdusters proved to be the most talked about the next morning. But all late night shows were well attended..
Great food, friendly surroundings, fantastic lineup. DelFest never disappoints. 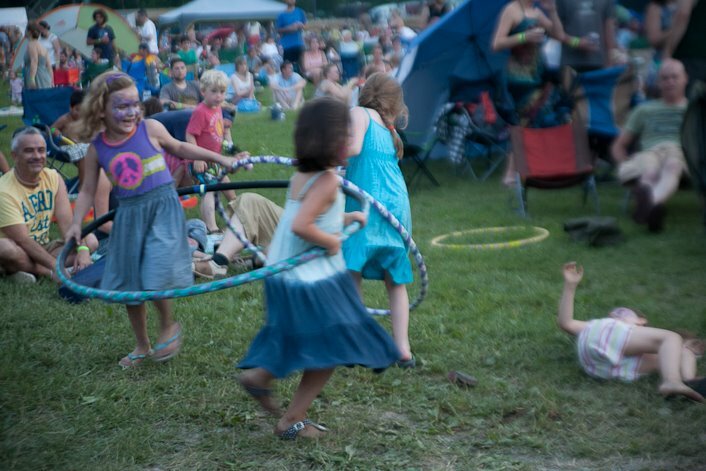 Check out more photos from DelFest 2012.